4.25" closed. 3" black finish stainless drop point blade. Black aluminum handle. Thumb stud. Pocket clip. 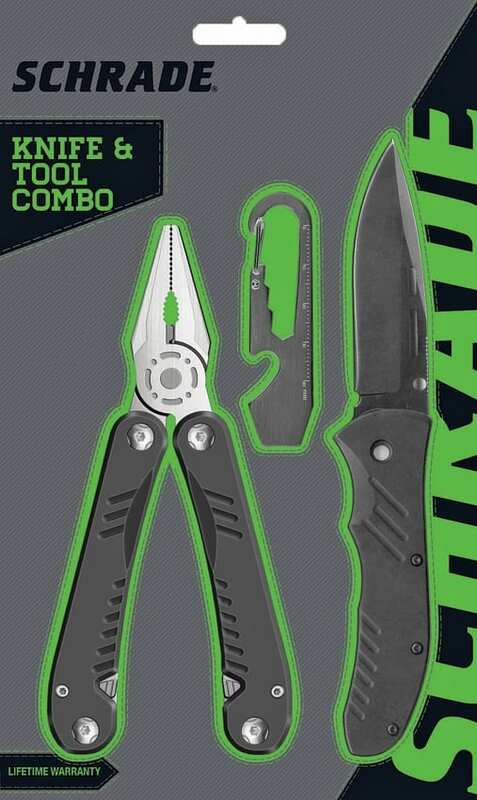 Also includes: 4.25" closed spring loaded multi tool with needle nose pliers, file, can opener, bottle opener, Phillips screwdriver, serrated blade, standard edge blade, small and medium flat head screwdrivers. 3.25" overall keychain tool with pry bar, ruler, bottle opener, and carabiner. Black nylon belt sheath. Clam packed.